Much like the Puerto Rican setting around them, Karina and Christian’s destination wedding was romantic and elegant. The tropical affair took place at Hacienda Siesta Alegre, a venue with the most lush ceremony spot we’ve seen to date. Bethany and Dan Photography so perfectly captured the summery decor and the couple’s sweet moments on their wedding day. Although we were having a destination wedding in Puerto Rico, we knew we did not want to have a ceremony or reception on the beach. We actually stayed away from the beach entirely and focused on other notable features of the island – the cobblestone-lined streets of Old San Juan and the mystical Yunque Rainforest. We were inspired by the Spanish colonial architecture and wanted to infuse DIY décor with a rustic and earthy theme. Because our ceremony and reception was going to have the rainforest as the backdrop, we decided to opt for gentler colors for the wedding party – blush dresses for the girls and navy blue suits for the boys. We wanted to highlight the natural beauty and colors of the rainforest. Therefore, our reception décor featured potted plants, lanterns, ivy, and wildflowers – similar elements were brought into the bouquets as well. It’s hard to choose one favorite moment from our wedding. However, I would have to say it was our first look. Christian was outside waiting for me to come out of the building, with his back turned, so that he wouldn’t see me. I had rented an apartment from AirBnB on a secluded cobblestone street in Old San Juan, coincidentally with a small chapel on the corner. I was nervous yet excited as I walked down the three flights of stairs from the apartment. I walked towards him – unable to hide my smile and anticipation – he turned around and we both smiled, laughed, cried and hugged, just overwhelmed with emotions. It was a beautiful moment that just he and I shared. We had an incredible experience with our wedding planner, Merylin Andino. We were so distraught after a terrible experience with our initial planner on the island (who we had to eventually fire), and hired Merylin after reading her many positive reviews. At that point, we only had about 3 months left before our wedding. 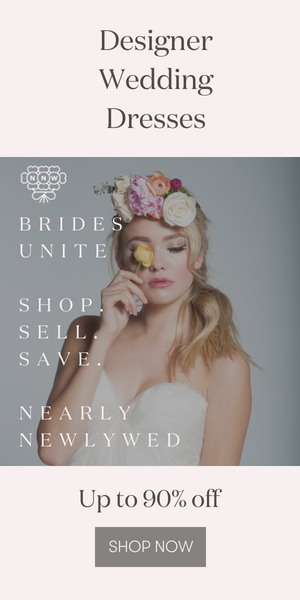 As a result, we decided to hire Merylin as our “Day Coordinator” which means that she would primarily be responsible for running the show on the wedding day. She actually went above and beyond! She provided us with such personalized service and attention, making us feel like her only clients. This was truly a breath of fresh air, after feeling like our former planner was inconvenienced by each of our questions or requests. Her attention to detail is outstanding. One can tell she really loves her job and takes great pride in making the couple feel special and relaxed throughout it all. I would recommend her to anyone without an ounce of hesitation. Similarly, our photographers, Bethany and Dan, were incredible. They, too, gave us personalized attention and made us feel extra special. We had periodic calls to touch base throughout the planning process and would often share what was going on in our personal lives with one another. They flew into Puerto Rico a few days early to scope out the best locations to take photos. Even though they were not from the island, they had our photo session route completely mapped out, thereby taking another load off of our shoulders. They were so easy and fun to work with! Congrats to Karina and Christian on their Puerto Rican nuptials and thanks to Bethany and Dan Photography for sharing! For more from Bethany and Dan, check out Karen and Roshan’s Indian fusion wedding in Cape Cod. So nice and charming wedding photography looking very gorgeous. Those photography are very awesome . Thanks you so much for sharing . Wow your pictures are amazing! I’ve bee to Puerto Rico twice and was so in love with the culture and architecture. I’m planning to have a destination wedding at the same venue in Hacienda Siesta. I noticed that you also took pictures in old San Juan, which I know is it close by the venue. I really like how you incorporate both places for the wedding pictures and really got inspired from it. 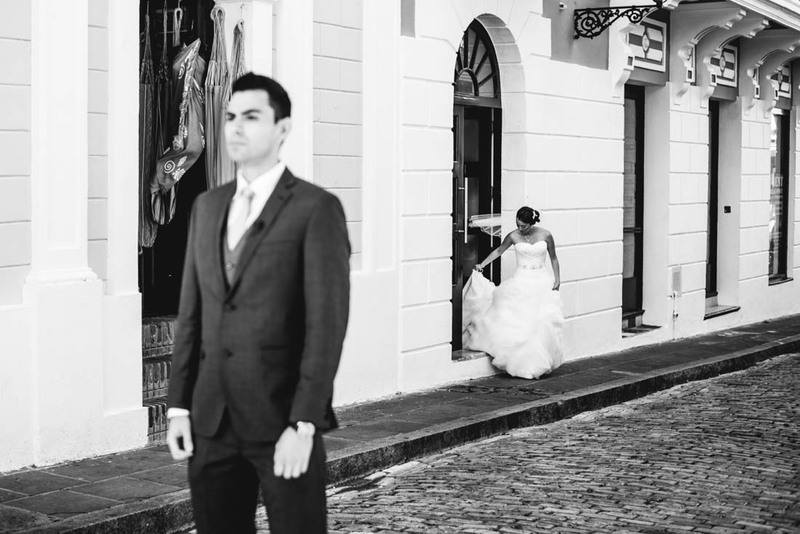 So I’m just wondering how you guys went about it..did you go to old San Juan and have a photo session the same day prior to wedding or before/after?